We're excited to announce an expansion of our global deployment network with the upcoming Alibaba Cloud Data Centre in the UK. To celebrate its opening, we have prepared an early bird benefits plan for users. Sign up now to be one of the first 3,000 users and receive a 50GB Data Transfer for free. There will also be 5% Off Vouchers available for London Region Early Birds from Oct. 10, 2018 to Mar. 31, 2019. To better serve our global customers, we recently launched Alibaba Cloud's Professional Services. Empower your business with easier cloud migrations, event management and health checks to ensure secure and stable cloud business operations. Is your business taking full advantage of Big Data? Join this hands-on introduction to big-data based applications including Alibaba Cloud's Big Data platform architecture and Apache Hadoop. In this webinar, you will discover the A.B.C (AliBabaCloud) of Alibaba Cloud products and services from fifty-thousand feet and learn how to best integrate these offerings into your online strategy. This includes an introduction to Alibaba Cloud products and services in Compute, Storage, Networking, Big Data, Media, and Database technology as well as the unique advantages of Alibaba Cloud that you can leverage to start or advance your own online presence. China Server Package for mainland China from $1/month. Web Hosting Package for Hong Kong & US west regions from $1/month. Cloud Server + Data Transfer for 12 regions globally up to 95% OFF. Purchase during the 11.11 event, and earn up to 10% credit rebate. Invite your friends and win «11.11 Cloud Deals» credit up to $370. The more friends claim the credit from your referral, the more credits you earn. Alibaba Cloud is excited to announce a special offer on our $30-a-year ECS SSD Cloud Sever promotion. As the latest feature for this plan, we have added the Strikingly website builder at no extra cost for a whole year. This will help users build their website on our high-performance ECS product. With this plan, you will be able to access all Strikingly features, including video backgrounds, premium icons, and premium high-quality images. This plan also allows you to deploy your website using a Strikingly sub-domain. Pursuant to Article 174.2 of the Tax Code of the Russian Federation, beginning 1 July 2017, Alibaba Cloud will be required to charge Russian Value Added Tax (“Russian VAT”) at the rate of 18% on certain electronic services provided to individual (non-business) customers located in the Russian Federation. All Russian VAT collected will be remitted to the relevant Russian tax authority. Alibaba Cloud is registered for Russian VAT as a non-resident taxpayer and is not required to issue Russian tax invoices. For further details, please refer to the website of Federal Tax Service of Russia at: lkio.gnivc.ru/en (English) or lkio.gnivc.ru/ru (Russian). Alibaba Cloud will not be required to charge Russian VAT on services provided to Russian business customers. To determine whether a customer is a business customer, the Russian tax authority requires Alibaba Cloud to collect from the customer its Tax Registration Code (“KPP”) and Tax Identification Number (“TIN”). To confirm that you are a Russian business customer, please provide your 9 digits KPP and 10 digits TIN to us via email at: support@alicloud.com. If we do not receive both your KPP and TIN by 27 June 2017, we will treat you as an individual customer and will begin to charge the 18% Russian VAT from 1 July 2017 onwards. 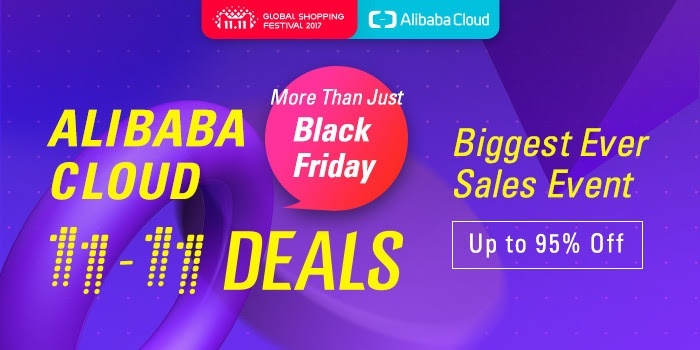 This promotion is applicable for registered users of Alibaba Cloud. This promotion applies to ECS instances deployed in US West, US East, EU Central and Australia regions. This promotional offer cannot be used in conjunction with other special offers or coupons. This promotion is only applicable to subscription orders, not renewal orders. This promotion is limited to 10 orders per user, with 1 instance per order. Each user can purchase up to 10 instances. If an individual user has multiple accounts, only one account is eligible to participate. This promotion is valid until August 19, 2017.